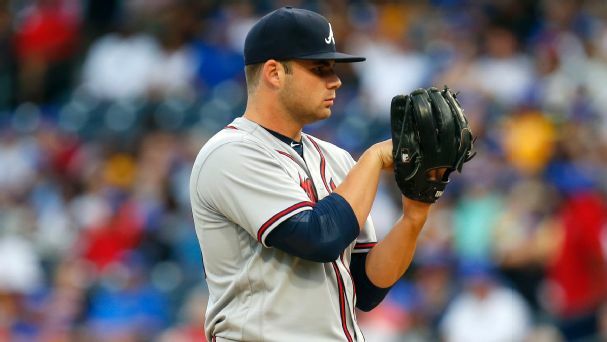 Hader is unavailable for Monday's game against the Angels after throwing 2.2 innings Sunday, Tom Haudricourt of the Milwaukee Journal Sentinel reports. 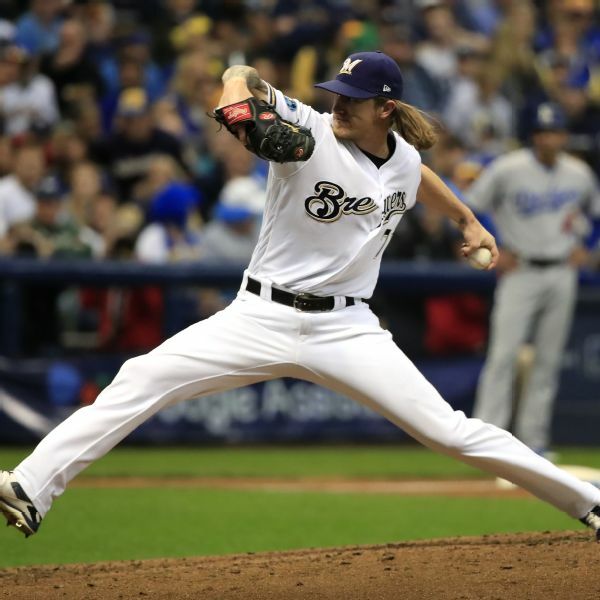 Brewers reliever Josh Hader struck out three Cardinals batters on nine pitches Saturday night for his first immaculate inning, which came in a save situation. 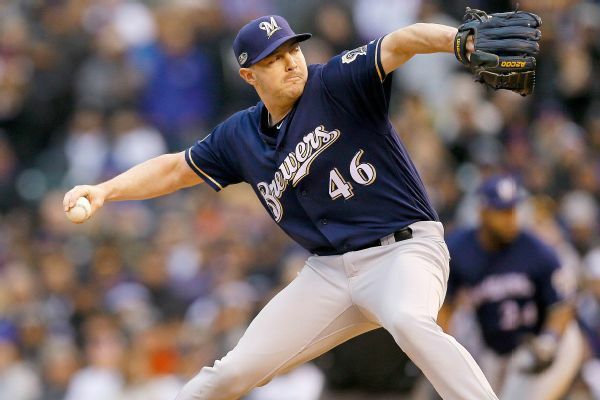 Milwaukee Brewers reliever Corey Knebel will have his elbow examined by a specialist on Thursday, manager Craig Counsell said. 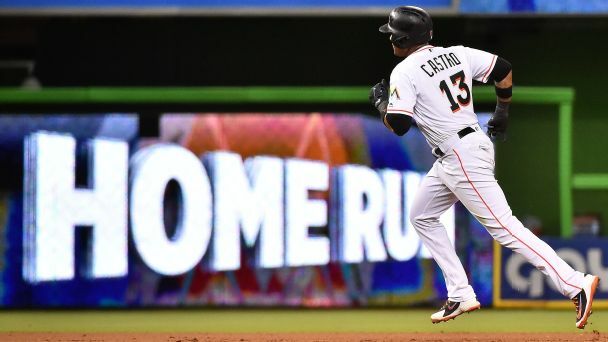 "There's reason for concern," he said. 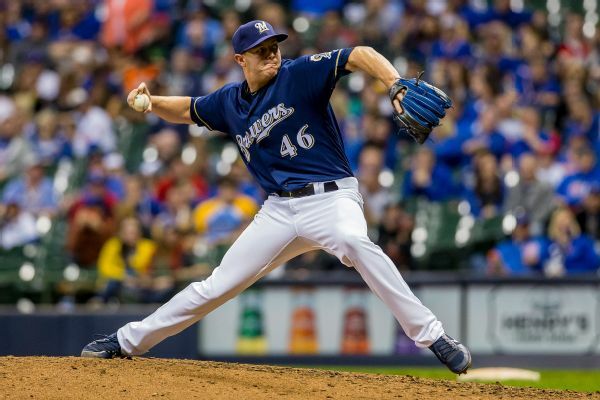 The Milwaukee Brewers have agreed to a $5,125,000 deal for 2019 with reliever Corey Knebel. 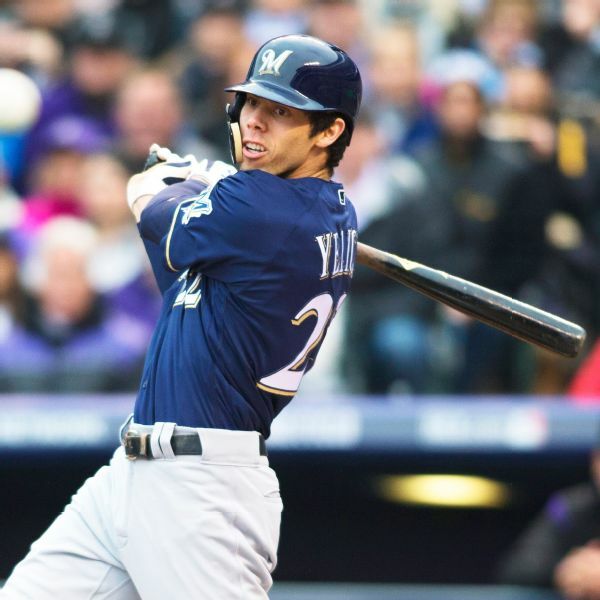 On July 9, a Marine famously dunked a home run ball into his drink and chugged away. But how the ball got there in the first place is far more interesting. 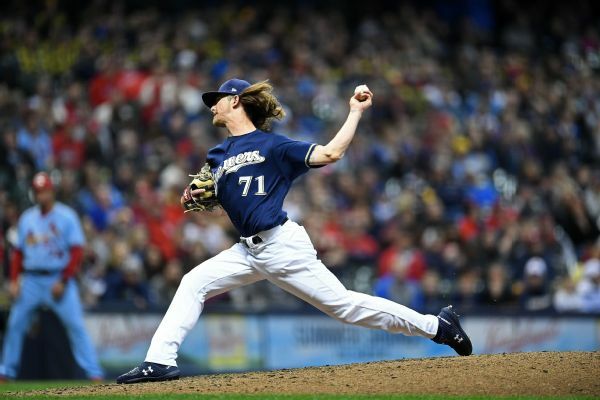 Seattle's Edwin Diaz and Milwaukee's Josh Hader were honored as the top relievers in their respective leagues on Saturday, topping off dominant seasons for both pitchers. 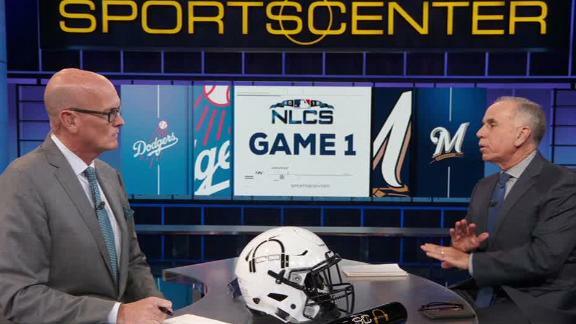 Tim Kurkjian describes Josh Hader's impact on the Brewers' success. 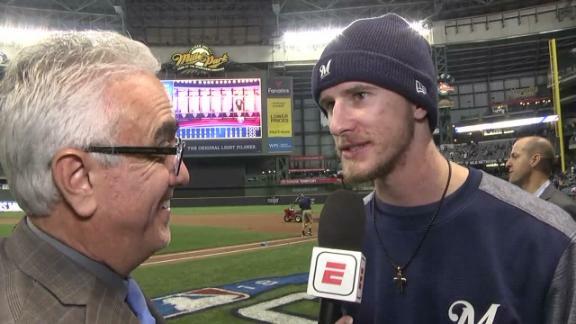 Josh Hader talks to Pedro Gomez after pitching three innings in the Brewers' Game 1 NLCS win and addresses his availability for Game 2. 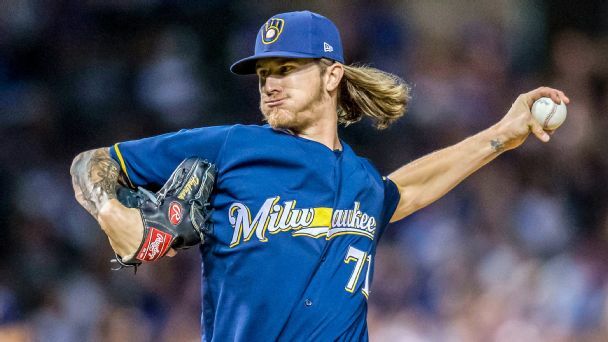 After a couple of hiccups, Josh Hader was his dominant self in blowing away Chicago and pulling Milwaukee within a game of the Central lead.